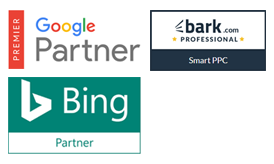 Smart PPC are certified Google and Bing Partners. This means that we adhere to all rules, ethics and codes of conduct when we manage your pay per click campaigns. This also means we have in-depth understanding of PPC marketing. Our customers have trusted us with huge amounts of advertising budget in 2016. We have retained 90% of our customers since we were established in 2012. This is testament to the amazing results we deliver for them. 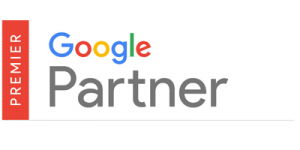 We are proud to have the best partner award from Google who only award this to a select few PPC management companies. We understand that your PPC campaigns are crucial to the success of your business so our goal is to make your them work harder and smarter to give you a better cost per lead and better return on your investment. Our expert team of Google partners will work with you to ensure you get the maximum yield for your budget. Here is insight into our unrivalled pay per click management service. If you are already using ad words and you would like some expert advice on improving the performance, reducing the cost and increasing the effectiveness and cost efficiency of your campaign, then a free account review and audit would go long way to achieving that. We will provide you with an in depth report on improvements you could make such as using negative keywords (to reduce wasted clicks and budget), using more ad groups (to improve quality scores which reduce you click costs) or landing page improvements (which will turn more clicks in to sales). At this point you can take the report and put the changes we recommend in place yourself. We can of course manage and optimsie your campaigns on an on-going basis.